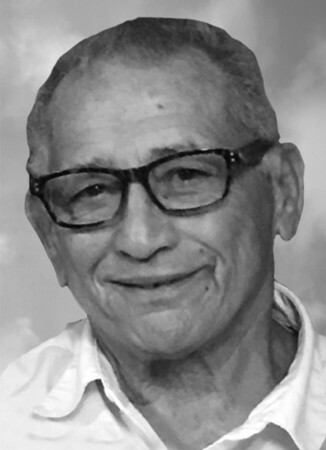 New Britain Herald - Victor R. Santana Sr.
Victor R. Santana, Sr., 79, of Florida, passed away unexpectedly in Florida. He was the beloved husband of Maria (Rossy) Santana for 53 years. Born in San German, Puerto Rico, Victor was the son of the late Doroteo and Carmen (Rodriguez) Santana. He was a former New Britain resident and longtime Plainville resident before moving to Florida seven years ago. Victor worked for General Electric for many years before retiring in 1999. In addition to his wife, Victor is survived by his sons, Victor Santana Jr. and his wife, Wanda of Plainville, Moises Santana of New Hampshire, Richard Santana of Bristol, Edwin Santana and his fiancé, Annmaria Morello of Florida, his daughters, Daisy and Jessica Santana, both of Florida, four brothers, three sisters, 13 grandchildren, one great-grandchild, and many brothers-in-law, sisters-in-law, nieces and nephews. Victor was predeceased by his son, David Santana. A Mass of Christian Burial will be held on Friday at 12 p.m. at St. Joseph Church, 195 South Main St., New Britain. Burial will be in St. Mary Cemetery. Calling hours will be held Friday morning from 9:30 to 11:30 a.m. at Erickson-Hansen Funeral Home, 411 South Main St., New Britain. Posted in New Britain Herald, on Wednesday, 25 July 2018 20:12. Updated: Wednesday, 25 July 2018 20:14.